Okay, let’s start with disclaimer one: Steven Moffat is not a very strong show-runner for Doctor Who. Many people have had trouble with his over complicated plots that don’t really pay off, his relegation of companions to damsels in distress and his frankly messy characterisation. Disclaimer number two then, is the fact that none of the Doctor Who Christmas Specials have really been any good. There have been a couple that have been pretty good but overall, the Christmas Special is usually a bit of a let down. Disclaimer three is that this is a regeneration episode and those can be a little hit and miss. I personally loved Christopher Eccleston’s episode but was completely underwhelmed by David Tennant’s. Matt Smith’s could have gone either way. With all that in mind, the short version of this review is that The Time of the Doctor was a big mess of long drawn out plots that needed wrapping up, sometimes rather precariously. 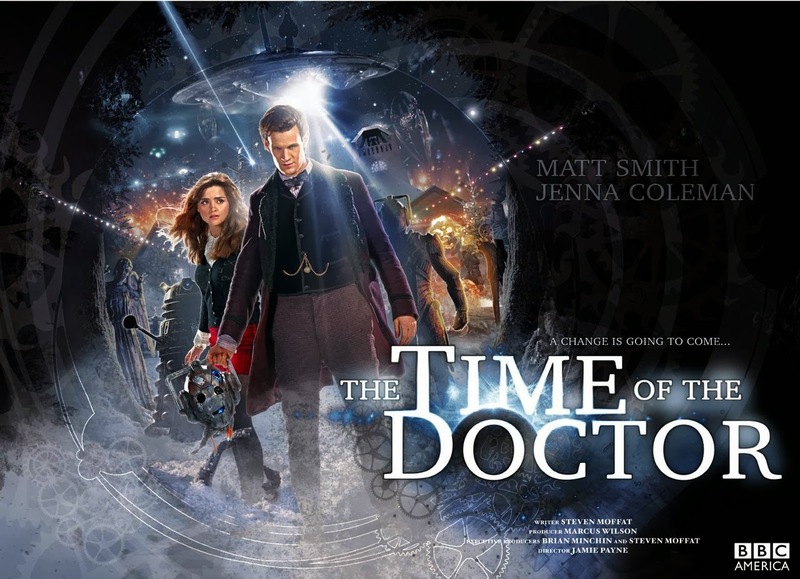 It included, some might say as an afterthought, the regeneration of the Eleventh Doctor, Matt Smith. His performance, as has been the case throughout his tenure, was fantastic despite the messy plot and the questionable character moments. He saw his Doctor out with class and with what felt a little like a big warm hug. Follow me for a little more about The Time of the Doctor under the cut. My personal best of 2013 is terrible image manipulation. While I've counted down my favorite unheard songs of 2013, there was a lot more to the things I enjoyed this year than just music. Follow me in for some other bests of the year. The Unheard 13 of 2013: Day 13: King Khan and the Shrines - "So Wild"
I figured I'd end this little year end project with a real rocker from King Khan and the Shrines. A band I've struggled with getting into a lot in the past, their newest album, Idle No More, ended up really impressing me. It's got an old feel to it while still feeling fresh, and they're quite the showmen to boot. Really enjoyed this song, "So Wild," a lot. Horns always do it for me. King Khan has a website here. 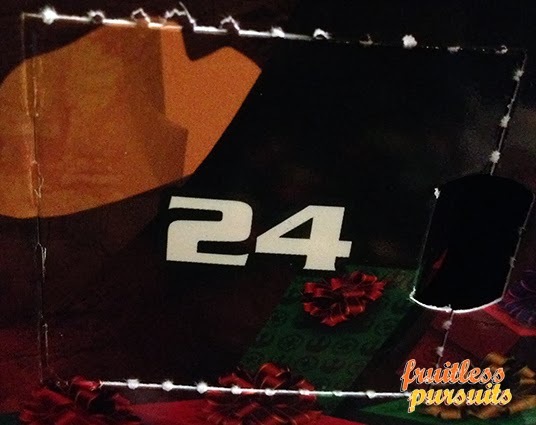 Lego Star Wars Advent Calendar 2013 Day 24: Daddy. Deck the halls! It's the final day of the Star Wars Lego advent calendar which means sweet, sweet freedom for me! And I think we all know what we're going to get, so let's not waste any more time! 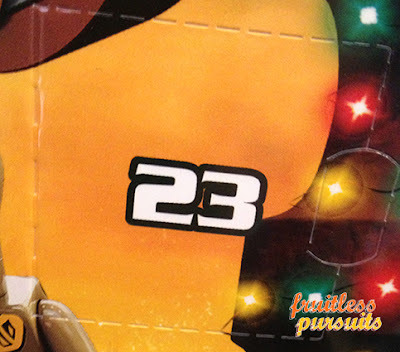 Let's blast open Door Number 24! 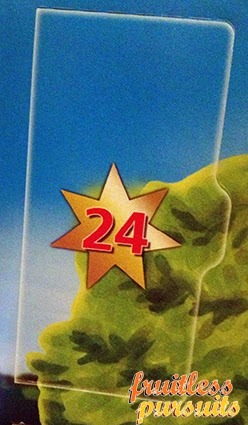 Jurassic Park Playmobil Advent Calendar Day 24: Daddy. Joy to the world! It's the final day of the Jurassic Park Playmobil advent calendar and I am about to be free of the arduous task of documenting the sordid goings on of the island! When we last left our hero Dr. Ian Goldblum, he had made love to an enchanted raptor which then laid two big eggs. Is he ready to become a father? Let's open Door Number 24 and see what happens! FPcast! The Fruitless Pursuits Podcast for December 23rd! The Desperation of Smaug! This week our topics range from: our favourite Christmas movies, the Desolation of Smaug, our catch up on some of the 2013 films we originally missed (including the crazy Sharknado! 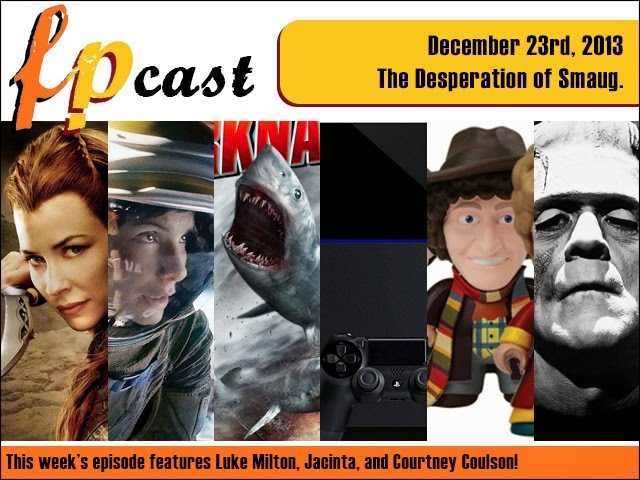 ), we play the Playstation 4, collect super-deformed Doctor Who vinyl toys, and Courtney and Luke have a detailed discussion about the various film versions of Frankenstein from the 1931 classic to... The Room!? Download here! (Click to stream, right click to save). Or why not subscribe to us on iTunes. The Unheard 13 of 2013: Day 12: Aoife O'Donovan - "Fire Engine"
Aoife O'Donovan is the lead singer of one of my favorite bluegrass groups, Crooked Still. 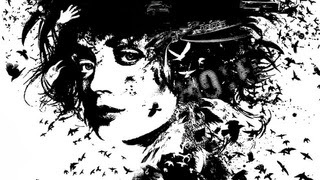 Her first solo album, Fossils, came out this year, and while much of it is an understated affair, there are a few numbers in here that really caught my ear. My favorite of the batch was this rollicking piece, "Fire Engine." Aoife O'Donovan has a website here. 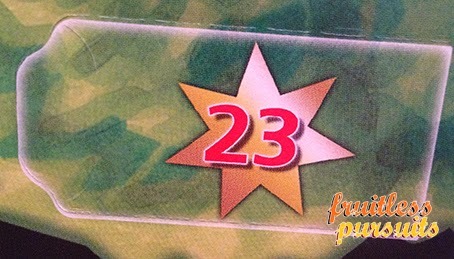 Lego Star Wars Advent Calendar Day 23: You Slay Me! 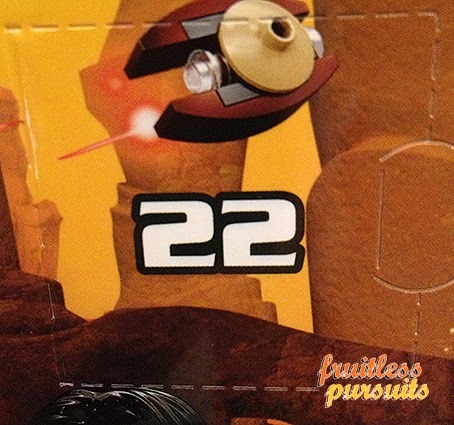 And it's the penultimate day of our long battle with the Lego Star Wars advent calendar! We've had s sprinkling of OK gifts but how about something that is really going to wow us!? Come on, Lego! Now's your big chance! Jurassic Park Playmobil Advent Calendar Day 23: You Lay Me! It's the penultimate day of the Jurassic Park Playmobil advent calendar and what a journey it has been! When we last left our hairy-chested protagonist Dr. Ian Goldblum he was being raped by a raptor in a pile of hay. Merry Christmas! And I'm playing catch up as I missed day 22 of the Lego Star Wars advent calendar - a calendar that has but three more doors to prove its worth and justify its price tag! Will today thrill or buzz kill? Let's open Door Number 22 and find out for ourselves! 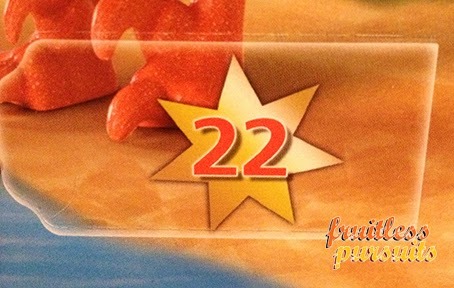 Jurassic Park Playmobil Advent Calendar Day 22: Hey! I'm playing catch up as I missed day 22, so here it is in all its steamy, better-late-than-never Jurassic Park Playmobil advent calendar glory! When we last left our swarthy protagonist Dr. Ian Goldblum, estranged love interest, Laura Derp, had given him a magnifying glass with which to take a long hard look at himself! Did he take her advice?